May a lay person administer the last rites to a dying man? If a layman gives communion to a dying man, is this the same as the Last Rites given by a priest? 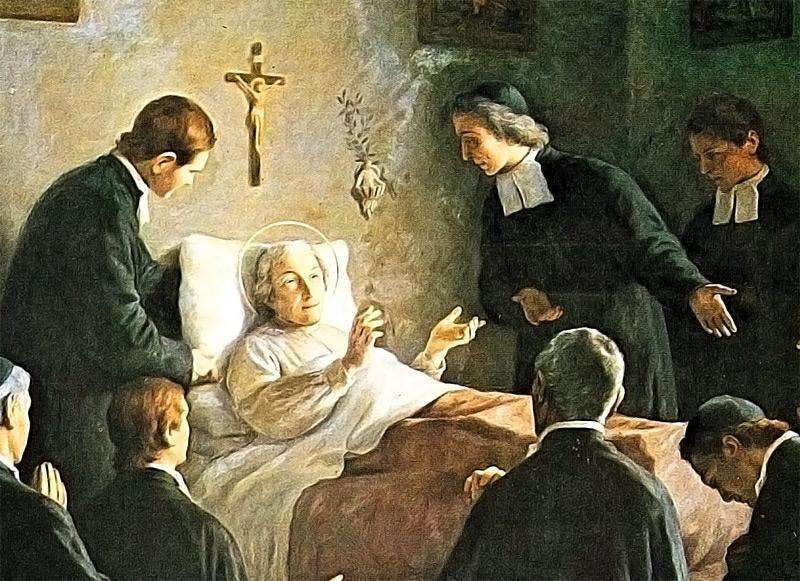 A lay person is able to take communion to a dying person and also say a number of prayers for them. However, a layman cannot validly administer the Last Rites since this requires anointing the dying person with oil and only a validly ordained Catholic priest can do this. So no, it is not the same as the last rites given by a priest. Pls why is it that we don’t have much if any saints from African decent, is it that there are no African person worthy of sainthood. Here are many African Saints. Previous PostDoes the Church allow interfaith marriage? Next PostThe REAL power in group rosaries?